If candidates’ experience of applying for jobs is so bad, why are recruiters allowing it to go so wrong and how can it be improved? 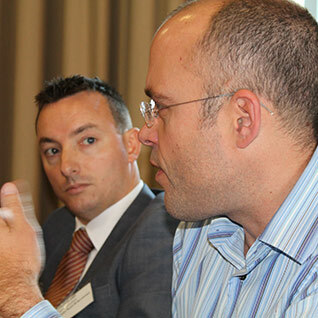 Resourcing professionals and candidates discuss the key issues around the recruitment process. Rob Moss reports. Imagine applying for a mortgage and never discovering the bank’s decision on whether or not it will lend to you. Job applicants, in the HR sector no less, have become resigned to this type of treatment, with only 25% of candidates saying they are “always” kept up to date with the progress of a job application. applicants gave the recruitment process an average overall rating of 5.7 out of 10. How has the candidate experience declined? 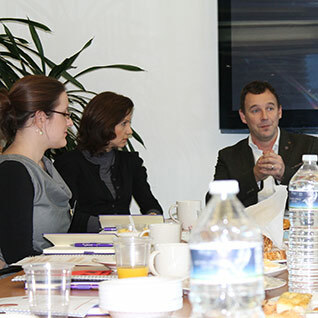 To examine the findings of the research and the key issues affecting the way candidates are treated during the recruitment process, Better Placed HR held two roundtable discussions, chaired by Andrew Baird, associate director at Blackbridge. These began by looking at how the candidate experience has declined over the past five years, seemingly in line with more pressured economic times. Dorian Webb: For me, transformation should be about value. What is the proposition? 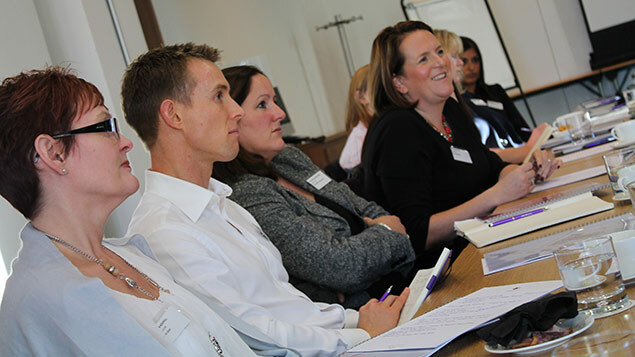 What are we trying to achieve and how can we do it so that it adds value to the organisation? Unfortunately, it too often distils down to: How can we automate the process? How can we take heads out? And, if you are in that environment, then candidate experience gets thrown out the window. All you are worried about is how many candidates you have for a particular vacancy … so you might get high volumes of candidates responding, but you do not have the resources available to manage them in the way you would want to. That is the nub of the issue and it is going to affect companies that have ignored it for the last few years. Sharon Reher: We are on the tail-end of a bad recession and it has dumbed down the way we interact with people. Five years ago, we were all talking about the war for talent: the demographics were against us, we were not going to get enough good people in. And nothing has changed – talent is still really scarce. Organisations have been missing a trick with the people they have turned down during this period. When the good times start coming, they will not be able to access them because they have screwed up during the bad times through poor candidate experience. It is actually quite simple to fix. Candidates are our potential customers, whether they buy our goods or they work for us. Catherine Boddington: It is about the brand. It is very important that people are buying into a business. If you get it wrong right at the beginning, with a poor candidate experience, you are never going to get the right person at the end. We articulate the recruitment process to candidates – we map it out: these are the stages, these are the people you are going to meet, and it will take this many weeks. We articulate it quite clearly. Alister Jenkins:It depends on which brand. I have heard about people who have applied to a huge brand whose recruitment process was terrible. I know people who have never heard anything back, I had a friend who went through several stages of interview and never received any feedback. But would people apply again? Yes. Will they use that company’s services again? Yes. It depends on the strength of the brand and some organisations can get away with a lot – how long that will last remains to be seen. Symon Hughes: The world of work in technology is very different. Candidates want to go somewhere where they can learn, where they can do some “cool stuff”, and, if you have got some interesting stuff for them to do, that is all they will care about and you can leave them to get on with their thing. They will say: “Actually, I do not want to go through some long arduous process and I do not really care what the brand looks like because I will work for 18 months and what you will get is cool product, what I will get is new experience and meet some new people and then I will go off and do something different elsewhere.” With a lot of these guys, that is the emotional contract that we work with. Similarly, with learning and development, a candidate’s view is: do not waste your money on that with me; just give me a few extra quid and I will do it myself. The conversation then turns to the role the recruitment technologies, specifically applicant tracking systems (ATS). Has over-automation led to a poorer candidate experience? 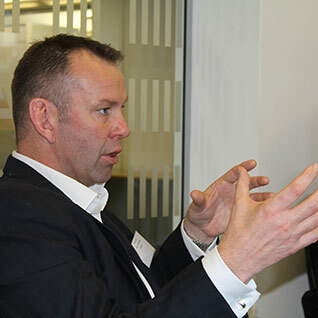 Nick Holmes: The panacea of technology was that you could take the cost out of recruitment because you could move it from agencies to direct sourcing. Everyone did that but then, as economic times got tougher, employers looked at removing even more cost, because so many CEOs and CFOs focus on expenditure, not value … to the point where they treat resourcing like an administrative process. Resourcing is a mix of technology, marketing and people, and if you mess up one bit of it, the other bits go wrong. Technology has enabled some senior leaders to dumb down … When implementing an ATS at least 50% of employers ask for standard email templates … so candidates get a standard rejection email. In terms of candidate experience, that is already pretty poor. Most employers either are not bothered or they have not got the resources, but most still are not bothered. Because they are not focused on it, it is about the culture of the leadership – if they get the people right that they do hire, they can forget about the others. Andrew Baird: Get the right people on the bus and everyone else can walk? Gemma Adams: In investment banking, there are a lot of firms that have that arrogance that says: “[the candidates] should want to work for us”. You can win some leaders round, but in some cases it is a losing battle. Stephanie Rix: Having support from the top is critical because people will follow role models in the business. If they see their leaders making the time for good recruiting decisions they will mirror that. If they keep hearing that it all starts with talent, then they will nail the recruitment process. Andrew: But this research clearly shows a gap between theory and practice – why does that gap exist? Helen Easter: Candidate experience is at its slickest when we [as a recruitment agency] get a brief and have a clear process, but that happens very rarely. Other times it is the business – the role might not have been signed off yet. Too often you get a candidate to interview or second interview and then the brief has changed. And sometimes the line manager is overstretched – recruitment is a tiny part of their job and they need the help, they need someone new on their team, but they do not have the time to recruit. Jill Leonard: Sometimes it is about the quality of the recruiting professional managing the process. A lot of line managers will simply say: “They’re a no”. The recruiter has to say: “No sorry, why are they a no?”. So, unless you push back on your line managers you cannot be confident about explaining to the candidates the real reasons why they have been rejected. So sometimes I think it is about the quality of the person managing the recruitment process. 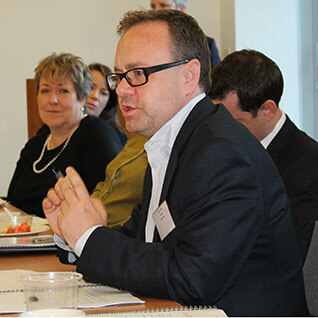 Simon Stephens: I think it is easy to focus on the recruiter, but I would be interested to know what commitment your organisations have as line managers … how many people have service-level agreements in place that say when you submit your shortlist, you will have feedback within 48 or 72 hours? Karen Hemphill: I was leaving an organisation after 12 or 13 years and I was approached by a recruiter who was working on behalf of an energy company who said: “Send us your CV, we are really interested,” and we had chat over the phone. That was the middle of March. By August I was still hanging in there: I had invested in three trips to London, I was seemingly having positive outcomes and moving on to the next stage, but there was no visibility of it. I was told at the end I was down to two candidates for the role. That experience with that particular recruiter on behalf of that large FTSE100 company was appalling. Andrew: How easy is it to go to your CFO and say you have a quantifiable reason to invest in candidate experience? Lindsey Tasker: I was previously at Lloyds Bank and we did research that showed that one-third of our candidates were banking customers, so there was a very commercial reality around whether or not they had a good experience. The other two-thirds were prospective customers. That research showed that there was a direct correlation between their likelihood to use us as a customer and their experience as a candidate, so it did form a part of the narrative around the business case for investment in recruitment technology. Masha Boldyreva: I am not sure we have to quantify it. To me, a bad candidate experience is equal to reputation. We do not have to quantify reputation; we know what happens when it goes wrong. Brian Dean: I think it comes back to the people. I think everyone would say that the candidate experience is really important and we would invest a lot of money in it. I’m not sure necessarily if that view is held by the people who eventually execute it. A lot of it is talk and a lot of it is tick boxes. Similarly, I would question whether or not employers spend enough time in discussion getting the right information together to create the right messages for third-party or internal recruitment teams to use. I would say we are all agreed in saying that candidate experience is important, but there is a lot more time and attention needed in the execution. Dorian: It gets thrown to the side when you have other priorities to achieve. I am not convinced that senior executives of organisations are that switched on to candidate experience, maybe because they see no real commercial value in achieving that. Certainly, in the organisations I have worked with, when you raise candidate experience to the senior leadership team, the response would generally be: “Yep, right, moving on…”. Nick: Increasingly, we are working with HR teams to say: “Let us see if we can push the board to measure time to effectiveness (TTE)”. It is a massively more important metric than, say, cost per hire. If you look at your sales teams, TTE is the time until they hit quota. So, if by good on-boarding and better-quality hiring, you can reduce that time from 12 months to six months, then multiply those six months by the number of people who you hire, and maybe even take out the ones who never hit quota, then what does that mean in terms of additional sales revenue? Suddenly, you have got the sale director offering you £100K for that. Andrew: So where are the main areas for improvement? Sharon: I think it is down to basic communication skills. People just want to know that they have been acknowledged, they want some honesty and integrity around the process, and I do not think that is a difficult thing to fix. Ellie Pike: I think employers need to be flexible. Our industry, publishing, is completely different compared with five years ago. Previously, we would never have hired a developer at all and now we are hiring quite a few, so we need to be really versatile. It is a developer’s market – a good developer will be off the market in a week. They often want to be self-employed, so we need to adapt to their needs. Gemma: What this comes down to for me is ensuring that I have effective HR professionals in my resourcing team. It is all very simple, it is not a difficult process we are running and we have the benefit of having a system – but where it falls down is where people are not doing their job very well. Wendy Cartwright: It is about honesty at every stage of the process and about there being a two-way conversation. The best recruitment experience is where the candidate can take something positive from it. It might be that you have done a psychometric test that gives some insight about yourself that you can use positively for the future or you might have a found an industry and you know now that, while you have not on this occasion got the job, this is an area where you should continue to look. Rather than getting to the end of the process and about it being kind of flat, it is actually about what you want and how it helps you. Some of the better executive recruiters are those that connect people and connect relationships. 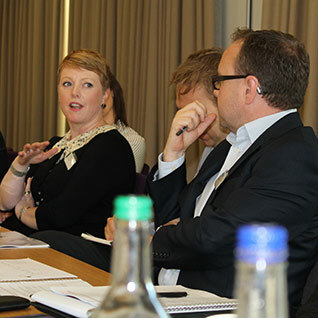 Our roundtable discussion and the prominent themes identified in The Candidate Experience 2013 research appear to focus on four key areas: communication, honesty, personalisation and feedback. While some of these issues may initially appear quite simple to fix, the foundations of a good candidate experience are complex. A myriad of factors influence the candidate experience: industry sector, organisational culture and leadership, the level of technological investment and quality of implementation, the capabilities of recruiters and the engagement of line managers, the scale of the recruitment, the seniority of the roles, and quality of the management of third-party recruitment relationships. What appears certain as we enter economic recovery is that candidate experience will grow in importance as organisations recognise the need to attract the best talent. What do you think? Can candidate experience be ignored, or is it more important than other more accepted aspects of the employer brand? Feel free to continue our discussion using the comments field below. Rob Moss, editor, Personnel Today. I have never read such a lot of rubbish and for which the last paragraph put it all into what the problem is but no tangible solution given on how to resolve it. I hope that meeting was not an all day one! There’s nothing new or surprising here. In the organisation I worked for we were having similar conversations ten years ago when the economy was buoyant, so the recession can’t really be blamed for any decline in candidate experience. Discussions and surveys like this do feel as though we’re preaching to the choir, though. What would perhaps have been more useful would have been to have included a number of front-line managers and executives in the round table as the other customers of the recruitment process, to justify (or not as the case may be) the lack of investment and poor attitude so many seem to have towards recruitment. The most salient point for me has always been that of reputational risk; word gets around about poor candidate treatment, particularly with large or well-known employers in a locality, and of course what we never know about are the highly-talented people who don’t even bother applying because of that reputation. Also, poorly-treated candidates may not only withdraw their own business, but influence friends and family to do the same – one disgruntled candidate is only the tip of the iceberg.